In Iceland Christmas is a big deal and the locals do take their Christmas and new year’s celebrations seriously. The Christmas preparation normally starts in late November. Most Icelandic families prepare a Christmas wreath with four candles on it. Each Sunday, leading up to Christmas eve on 24th of December we add a candlelight until all four candles are lit. 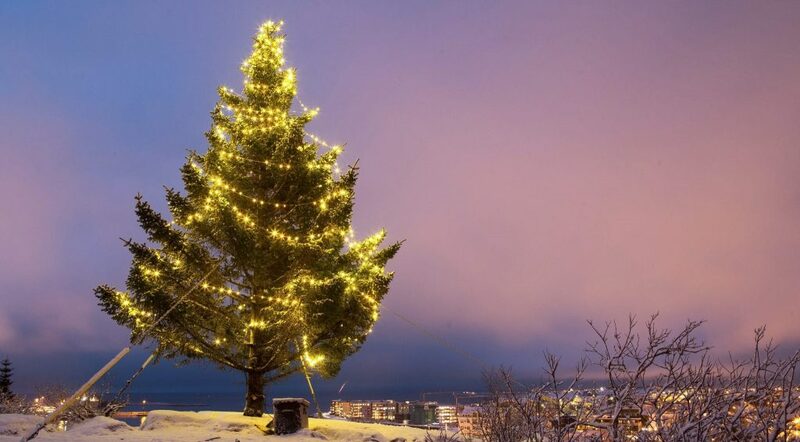 The traditional Christmas calendar in Iceland extends for 26 days, from December 11th to January 6th. However in this modern commercialized world we live in, the ads for Christmas concerts and buffets start in September which can be deemed too early by some, the author of this blog included. In this festive season in the dept of winter when the days are dark, people decorate their houses with all kinds of lights and ornaments. We do this to lift our spirits, brighten the environment and honor the christian values which upon the Icelandic society was founded on. If you travel to Iceland at Christmas time, you will experience the magnificent atmosphere that this season brings as you walk through the streets of any city or town around Iceland. Icelandic people are normally quite generous in the Christmas season regarding gifts. This normally translates to a minor depression when the credit card bill arrives in the beginning of February. The most common gift is a book and the majority of Icelandic publications arrive in shops just before the Christmas season. Icelanders are also big bakers around the Christmas holidays. Most homes will bake a few different sorts of cookies and the traditional leaf bread called Laufabrauð. One has to remind him or herself each Christmas that all those cookies are great for the taste spuds but not as great for the waste line. Many sinners try to tackle this unbearable urge for eating cookies right in the beginning of the new year, resulting in crowded gyms all around the country. 21st of December is the shortest day of the year in Iceland and is called winter solstice. This day of darkness only delivers around 4 hours of daylight. We have an old saying in Iceland, it is “með hækkandi sól” which translates into “with rising sun” meaning that we will do our choirs in the new year, probably closer to spring. Þorláksmessa (Mass of Saint Thorlac) is the day when many Icelanders eat fermented skate. Many travelers come across a strong ammonia infused smell on this day. Rest assured, the taste of the fermented skate is much better than the smell. We have the same debate every year, that is whether people living in apartment blocks should be permitted to cook fermented skate, as it is loved by some and hated by others. One has to wonder why Icelanders have developed this Christmas tradition of eating what many consider rotten fish. Adopted from Catholic tradition, it is not deemed to be ethical to eat something fancy on the death day of Saint Thorlac (Þorláksmessa). Therefore it is customary to eat old fish on this day. Skate is traditionally fished in the West Fjords of Iceland around this time of year. The local fermented the skate so it would store for longer and from that the tradition of eating fermented skate on this day gradually spread to the rest of the country. As a result of the strong smell, it is tricky to get young people to try the skate, therefore many Icelanders are worried that this tradition will die with future generations. Note that the smell is so bad that people eating skate normally wear their old clothes and they put them straight in the washing machine and shower afterwards, some even go as far and throw their clothes away. On Christmas Eve in Iceland, tranquility takes over. Few people are out and about as it’s a day where services are kept at a minimum level. Mass is traditionally attended by many families just before Christmas dinner, which is often smoked pork or lamb. After dinner it is time to open the gifts and put on the pajamas to read a book an eat some confectionery. On this day there is normally a family gathering where parents, grandparents, aunts and uncles, cousins and nieces get together. Usually a smoked leg of lamb (Hangikjöt) with leaf bread (Laufabrauð), white sauce and potatoes is on the menu. The traditional drink with the meal is “Jólaöl”, which is a mixture of Malt soda and an Icelandic orange soda. It literally doesn’t get any sweeter. Today is pretty much copy paste of yesterday, some might be lucky and don’t have to eat salty meat for the third day in a row and can kick back in the couch and watch the Premier League, others less fortunate have a dinner invitation with the in-laws. This day counts as the 13th day from Christmas Eve and therefore it is referred to as “the thirteenth”. It is the day when the last Santa leaves civilization and goes to the mountains to join his brothers. People celebrate this day with bonfires and fireworks. Elfs and Fairy people often come alive during this night and take part in the celebrations. There are a few superstitions relating to this day. One superstition is that cows can talk human language during this night, however if you try to listen you run the risk of death by noise. 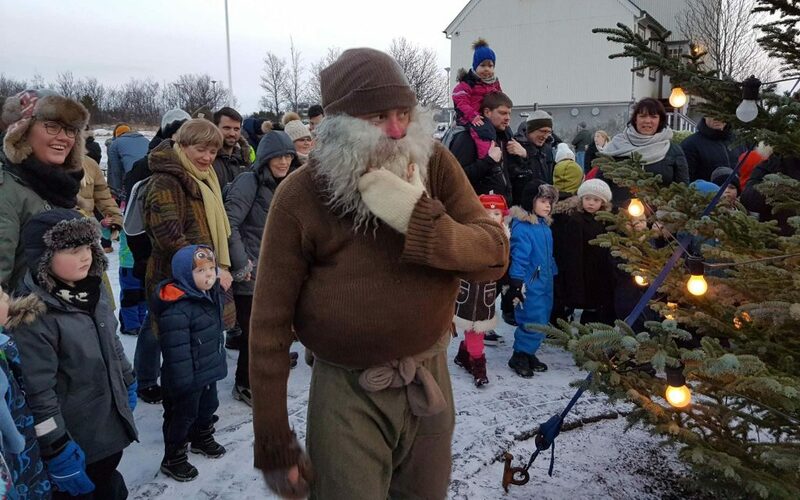 The amount of fantastic stories is something that characterizes Christmas in Iceland and it is a big part of the culture. One story is of the 13 Icelandic santas (although they are not related to Santa Claus). The santas were traditionally used to scare the children. However in modern society, they have become friendly creatures that bring gifts to children. These are very naughty beings who come down from the mountains one by one before Christmas. The first of them arrives on December 11th and the last on the 24th. Thus, children put their shoes on the window so that each of the santas can leave them a gift. The children will only receive gifts if they have behaved well. Otherwise santa will leave a rotten potato into their shoes. After the evening of December 24th, the santas return to the mountains, each day, one by one. The wicked ways of the Yule lads should not surprise anyone. Just take a look at their parents Grýla and Leppalúði who are trolls. They are not the nicest beings in the world as stories go that they used to eat naughty children back in the day. The Christmas cat is no angel either. The story says that all family members should receive a new garment for Christmas. If someone doesn’t, they will be devoured by this giant cat. In recent years, in Reykjavik, you can see moving projections of these “santas” on the facades of many buildings in the city center. An initiative that has surprised more than one tourist.